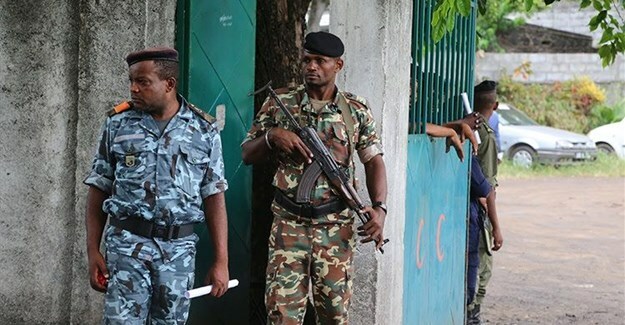 Soldiers stand guard on April 2, 2019, in Moroni, the capital of the Comoros. 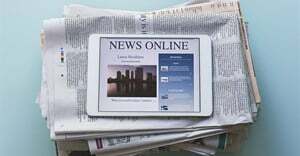 Journalists have been detained and newspapers have been disrupted surrounding the country's recent presidential election. Credit: CPJ/AFP/Youssouf Ibrahim. In an emailed statement to CPJ, the Comoros Ministry of Foreign Affairs disputed the characterisation that Toufé was detained, saying that the journalist entered the gendarmes' station without following proper procedures and was questioned and released. However, when questioned about Toufé's detention and the seizure of newspapers in an interview with RFI published on April 4, President Azali admitted that the headline "La Guerre Commence" had been banned by authorities, saying "we cannot allow that".